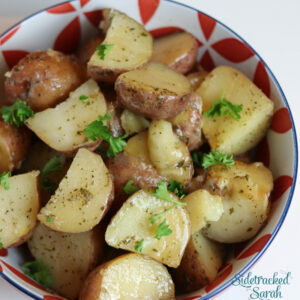 Slow Cooker Ranch Potatoes are a perfect side dish any time of year! They’re great for a weeknight dinner, pot luck, or family get-together. 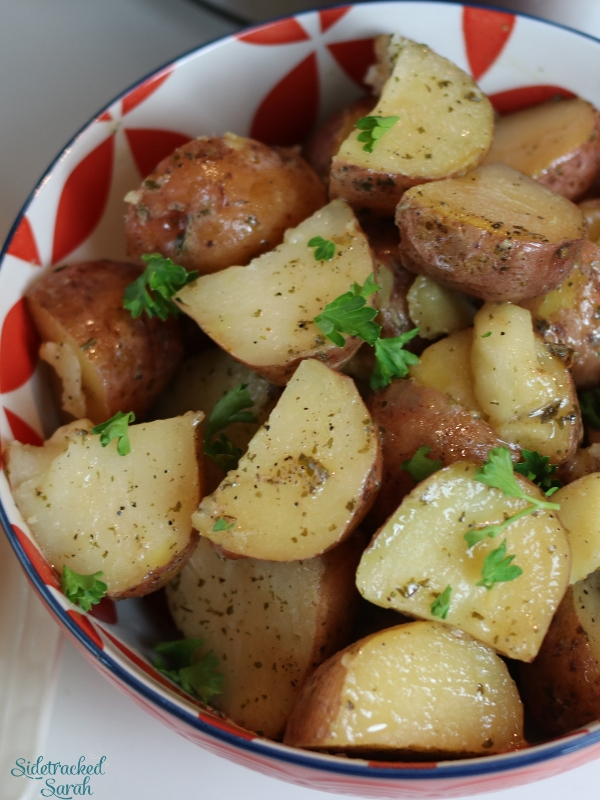 These potatoes are a crowd pleaser every time! We love Slow Cooker recipes! They’re so easy and convenient. Some of our favorites include The Best Crockpot Ribs Recipe and The Best Slow Cooker Chicken Thighs Recipe. By the way, either of these would go great with these Slow Cooker Ranch Potatoes. I love working with potatoes. This humble little root vegetable is just so versatile and easy to prepare! It’s hard to pick a favorite potato recipe, but Slow Cooker Ranch Potatoes is definitely in the running. Tender chunks of potato in a creamy, tangy ranch sauce…yum! And the best part is, the slow cooker does all the work! CAN I COOK SLOW COOKER RANCH POTATOES ON HIGH? Many slow cooker recipes are fairly easy to convert to the “high” setting, but I really do recommend sticking to “low” for this one. 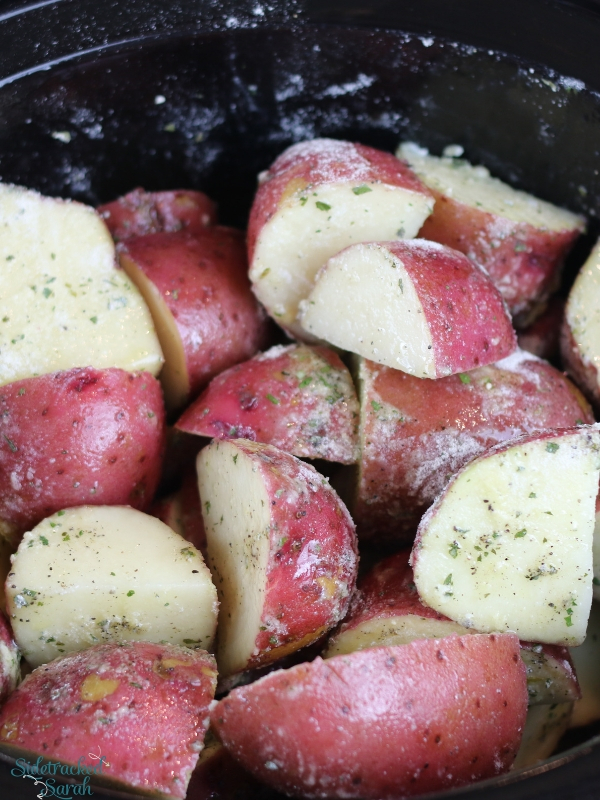 Using the high setting may cause the potatoes around the edge to cook a bit too quickly and stick to the liner. In addition, the dairy ingredients will work better with a lower, slower cook time. The good news is, even on “low” my Slow Cooker Ranch Potatoes don’t take that long! WHAT SHOULD I SERVE WITH SLOW COOKER RANCH POTATOES? The possibilities are just about endless! If you have two slow cookers (which is totally worth it), these potatoes would go beautifully with Slow Cooker Garlic Gravy Roast Beef or Slow Cooker Brown Sugar Garlic Chicken. If you’d rather use your Instant Pot for your main dish, Instant Pot Pulled Pork or Instant Pot Apple Pork Chops would be fun! And if you’re in the mood for a bit of honey bbq, Instant Pot Chuck Roast would be a great choice! No matter what you choose to serve with Slow Cooker Ranch Potatoes, you can’t go wrong. WILL SLOW COOKER RANCH POTATOES FREEZE WELL? You probably know how much I love freezer meals, but this is one I wouldn’t recommend freezing. Potatoes tend to take on an odd texture and color when frozen and thawed. However, they’ll keep well in the refrigerator if you happen to have any leftovers. We usually don’t, though – they’re that good! Wash potatoes and cut into quarters, unless they're already small, then you can leave them whole. Keep cut potatoes in water, so that they don't start turning brown. Once all potatoes are cut, drain water and pour potatoes into bottom of slow cooker. Evenly sprinkle ranch dressing mix, garlic salt and pepper over the top of the potatoes. Pour in olive oil and stir well, making sure to coat as many of the potatoes as you can. Place lid on Slow Cooker and cook on high for 4-5 hours. Check with a fork to make sure they are tender. 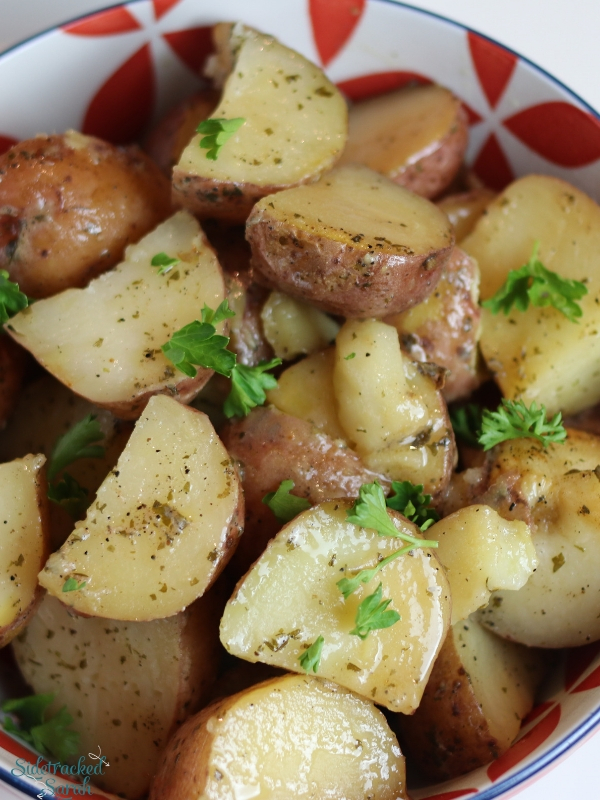 Serve potatoes garnished with fresh pieces of chopped parsley. 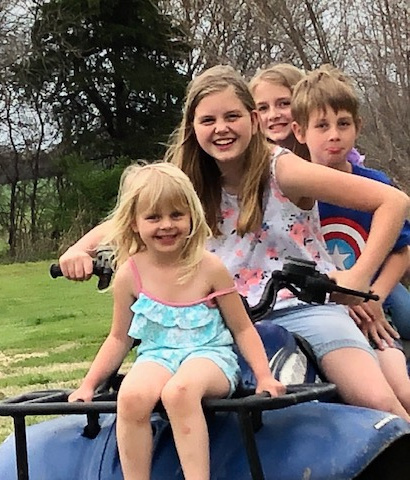 This past week, the weather finally warmed up again after a cold winter and my kids busted out the shorts and hopped on the four wheeler. In this picture, they were all piling on the four wheeler, but weren’t moving. They were totally posing and trying to be cute. We are blessed to live on 4 acres that we can do lots of 4 wheeler riding on, as well as other outdoor activities.